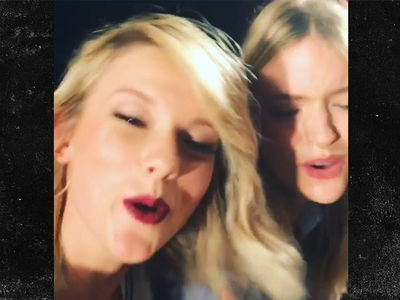 Taylor Swift seems to be taking a break from men, and opting for ladies nights out instead. Paps got Taylor out in NYC Tuesday leaving The Waverly Inn with model-actresses Cara Delevingne and Suki Waterhouse -- and singer Lorde following close behind. The single life suits Taylor -- way less drama. Less inspiration for songs too, but it's a trade-off.